Description Page 11 of 46: Lucknow Street, Havelock. Number ?725/728? Protected October 1, 1903. W.H. Macey. Photograph. 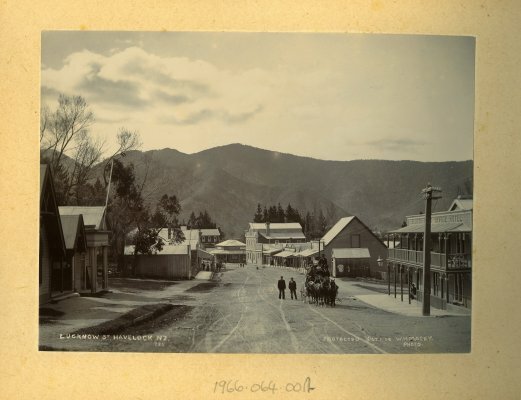 Shows Scotts [Post] Office Hotel on the right hand side, with a coach and four horses standing outside, ready to get on their way to Blenheim.